Microsoft announced their new budget Windows Phone last month, the Microsoft Lumia 430 and now the handset has launched in India. 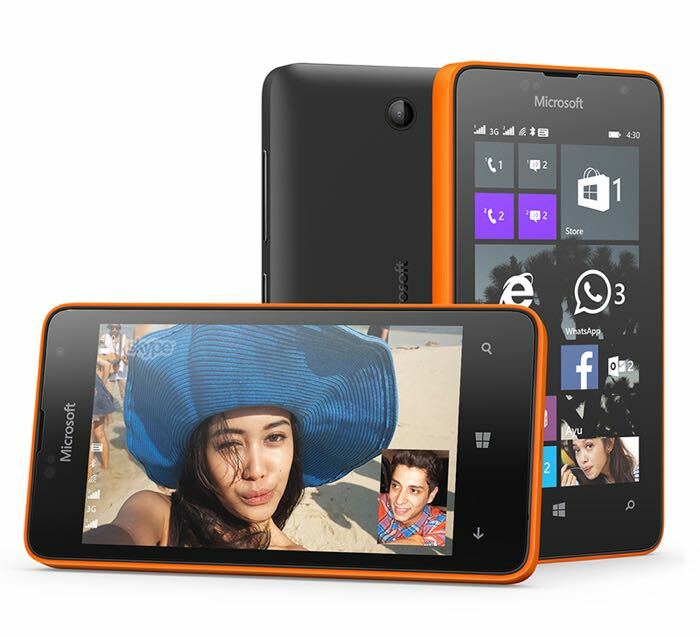 The Microsoft Lumia 430 is a dual SIM card smartphone and the device is equipped with a 4 inch display that has a WVGA resolution of 800 x 480 pixels. Powering the Lumia 430 is a dual core 1.2GHz Qualcomm Snapdragon 200 processor and the device also comes with 1GB of RAM. For storage the Lumia 430 is equipped with 8GB built in and it also features a microSD card slot which can take up to 128GB cards. The handset comes with a 0.3 megapixel front facing camera and a 2 megapixel camera on the back, there is also a 1500 mAh battery, 3G WiFi and Bluetooth. The Microsoft Lumia 430 has launched in India for INR 5,299 which is around $83 at the current exchange rate, the device is available in two colors, orange and black.